This 3-in-1 gel-to-balm is a cleanser, mask and overnight treatment balm. It work’s it’s multi-tasking magic as a deep-cleansing gel to milk that melts away the day’s impurities. 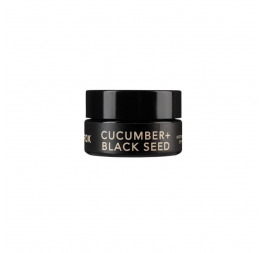 Locks in moisture and nourishes cells as a treatment mask or protective overnight balm. 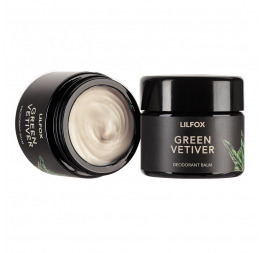 Formulated with herbaceous, pungent and potent botanicals from the jungles of the Amazon, this men’s only jelly balm gets is name from the exhilarating combination of ultra moisturizing cupuacu butter blended with healing hemp seed oil and a hit of refreshing basil, peppermint and lemon that leave skin fresh. Vegan hyaluronic acid locks in moisture while antioxidant-rich camellia seed oil blocks out free radicals. - then rinse with water. - and finish with toning mist. Theobroma Grandiflorum (Cupuacu) Butter**, Cannabis Sativa (Hemp Seed) Oil*, Astrocaryum Murumuru (Murumuru) Butter**, Cetearyl Olivate + Sorbitan Olivate (Olive) Wax, Orbignya Oleifera (Babassu) Butter*, Decoyl Glucoside (Coconut-Derived), Ricinus Communis (Castor) Oil*, Camellia Sinensis (Camellia) Oil*, Phospholipids & Citrus Limon (Lemon) Fruit Extract & Yeast Extract & Sodium Chondroitin Sulfate & Hyaluronic Acid & Tocopherol & Tripeptide-29 ], Helianthus Annuus (Sunflower) Seed Oil, Lonicera Japonica (Honeysuckle) Flower Extract, Benzyl Alcohol, Ocimum Basilicum (Sweet Basil) Oil*, Cymbopogon Martini (Palmarosa) Oil*, Ocimum Sanctum (Holy Basil) Oil, Citrus Auranitum var. 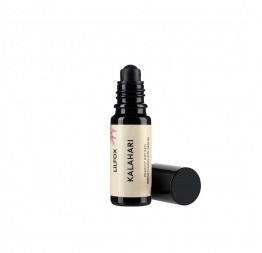 amara (Petitgrain) Oil*, Citrus Bergamia (Bergamot/FCF) Oil*, Rosmarinus Ofiicinalis (Rosemary) Oil*, Rosmarinus Officianlis (Rosemary) Extract*, Brassica Campestris (Rapeseed) Oil*.